Chris Speller, Group Director of Cityscape & Informa Egypt, expressed his delight for the inaugural Cityscape Egypt in association with Next Move. Cityscape Egypt, the largest international real estate exhibition and conference - held in Cairo International Conventions Center - ended last Thursday with a great success exceeding all expectations. 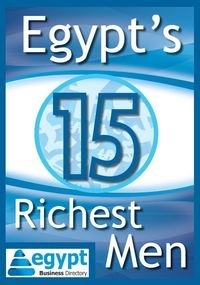 Cityscape Egypt succeeded to demonstrate key strategies to restructure and pave the way for an economic recovery. As, significant number of major projects launched, and several strategic agreements were signed amid the unprecedented rush of visitors. Chris Speller, Group Director of Cityscape and Informa Egypt LLC, expressed his delight for the inaugural Cityscape Egypt in association with Next Move exhibition: "we have been overwhelmed by the increasable response we have received from exhibitors, delegates and general participants". Many of the exhibitors confirmed that they benefited significantly from the unique opportunities offered by the exhibition and conferences. Speller affirmed the importance of the event in supporting the investment climate and Real Estate industry in Egypt. Speller stated that Cityscape Egypt in association with Next Move succeeded to be the main forum for Egyptian real estate market and welcomed decision makers as it encompassed a high turnout of real estate investors, developers and governmental officials, who participated in the conferences as well as the investor roundtables held alongside the event. These types of initiatives allow the participants to exchange experiences and viewpoints about mechanisms and plan to be adopted in order to support and boost the Egyptian real estate market. Yasser Ghazi, Chairman of LEAD Marketing Solutions, affirmed that hosting such event at this critical time is considered to be a challenge and a risk for all parties involved. However, these imposed challenges have encouraged organizers to turn each hurdle into stepping-stones. Ghazi added that visitors and exhibitors of various segments were interested in cityscape Egypt to be acquainted with the latest trends and strategies in the real estate sector. Ghazi also pointed out that Cityscape Egypt took an active role in reviving the real estate market, and retaining foreign investments in to the country via the various tactics discussed over 4 consecutive days in cityscape Egypt conferences, workshops, and roundtables. Ahmed Ghozzi, CEO of ACG-ITF, the organizer of Cityscape Nextmove, said that many real estate companies have succeeded to deliver their messages and promotional offers during the event. And, witnessed an optimistic response from targeted segments. Affirming that cityscape Egypt has verified a positive growth outlook in the Egyptian market, especially in the real estate sector.